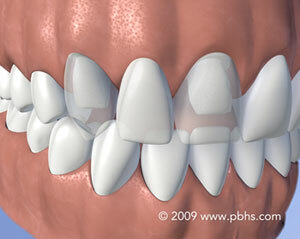 When a tooth is lost, the bone that normally surrounds the tooth can melt or “resorb” away. Dental implants are more easily placed fairly soon (four months) after tooth loss, otherwise significant loss of bone volume can occur. The great news? 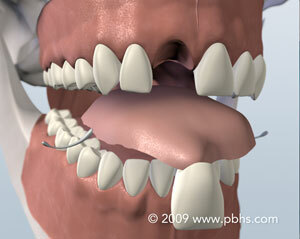 Implants act just like your natural teeth in that they will often preserve the alveolar bone. They safeguard and preserve your bone structure, oral health and appearance. Your dentist and Dr. Horalek will provide you with options so that you can make the most informed decision concerning tooth replacement. For more information about Replacing Missing Teeth or to schedule a consult with Dr. Horalek, please use our Appointment Request form or call our endodontic office in Raleigh, NC at North Raleigh Endodontics Office Phone Number 919-256-3996. 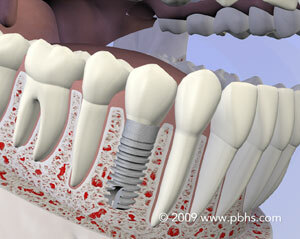 Tooth Replacement Options | Why Choose Dental Implants? You can select from a number of different options to replace your missing teeth – from temporary to long-lasting solutions. 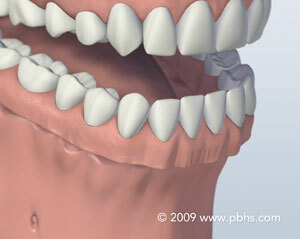 A good candidate is anyone missing one or more teeth, or who is unhappy with their dentures. Age is not a factor. However, smoking, diseases such as diabetes, and radiation therapy to the area have been shown to lower the success rate of implant placement. X-rays of your jaw will be taken to evaluate whether they will accommodate dental implants. Detailed x-rays may also be required to determine if other tests or procedures are needed to place implants properly. Over More Traditional Types Of Restorations? 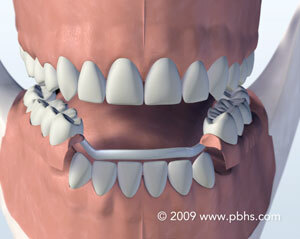 There are several reasons: A dental bridge can sacrifice the structure of surrounding good teeth to bridge the space of the missing tooth/teeth. In addition, removing a denture or a partial denture at night may be inconvenient, not to mention dentures that slip can be uncomfortable and rather embarrassing.